January Journal: Day 11 — Ginger writes. 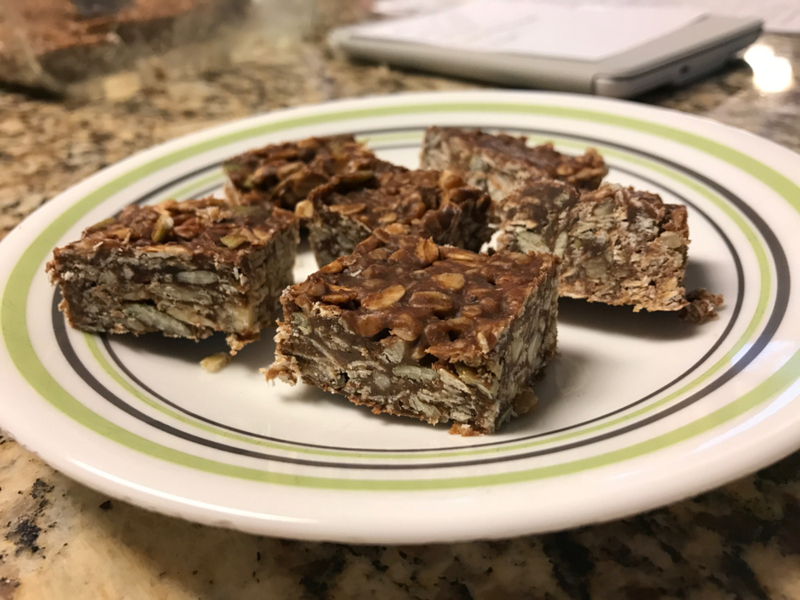 After you make yesterday's Thai Coconut Chicken Soup for dinner, you can make these no-bake bars for the next morning's breakfast. These are a thing for me, if you haven't noticed. No-bake bars are my favorite breakfast, except on the mornings I get to eat at Tandem. 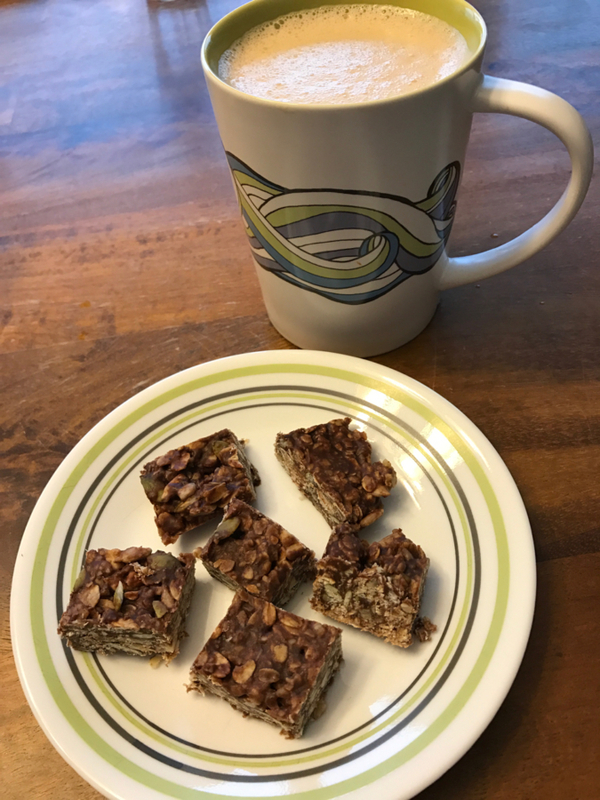 Nearly every day my breakfast is a small plate of no-bake bars with a big mug of bulletproof coffee, made by pouring two cups of hot coffee into the Vitamix, adding two teaspoons of coconut oil, and blending on high for 10 seconds. The end result is a light brown, creamy, frothy coffee that I love to drink. If that simple combination isn't convincing enough, how's this? 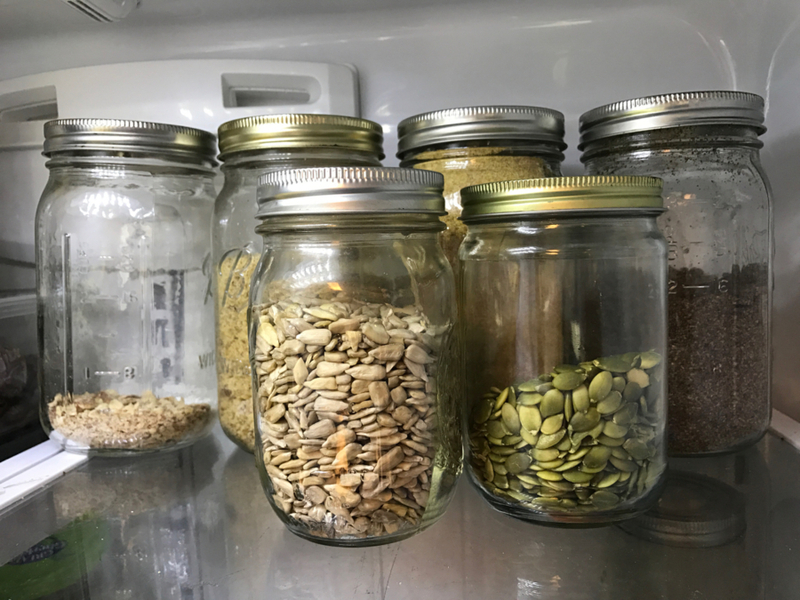 Not only do you get to eat treats for breakfast (a practice I've found usually keeps me away from treats later in the day), but your kids will like the bars for breakfast or snacks, and your husband will like them too. You will get to use up the gooey almond butter chunks at the bottom of the jar that no one wants to find on their sandwich. You won't have to bake and you'll get to eat more local honey. And you'll never have to decide what's for breakfast.